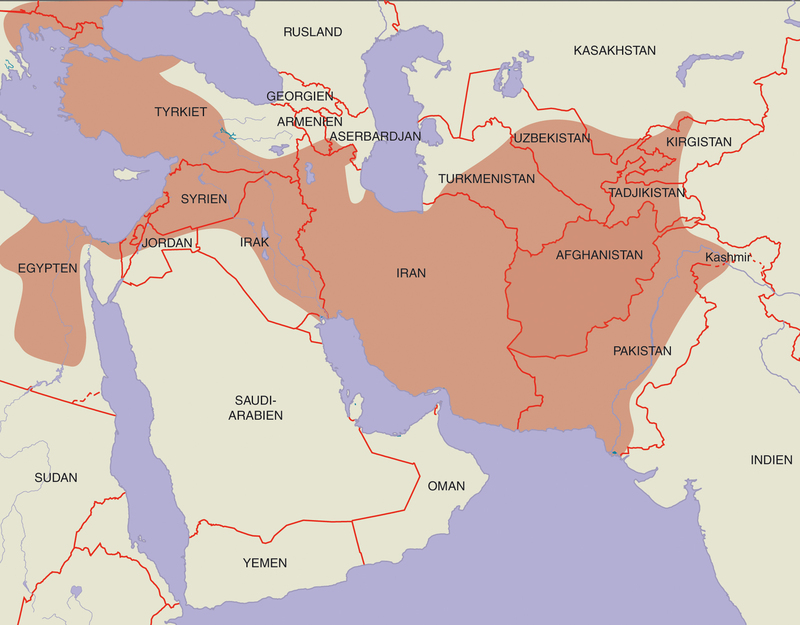 In the sixth century BC, present-day Afghanistan was part of the Persian Achaemenid Empire. Alexander the Great conquered the Achaemenid Empire with his victory over its last king, Darius III, in the year 331 BC. Alexander’s enormous realm extended as far eastwards as the Indus Valley, but it crumbled rapidly after his death in 323 BC. Alexander’s own rule was too short to leave any lasting marks on the Afghan cultural heritage. However, after the death of Alexander, his realm was replaced by a number of small Hellenistic kingdoms, where cultures mixing local and Greek elements emerged. This was the case in Bactria, originally an important military stronghold for Alexander’s mission. 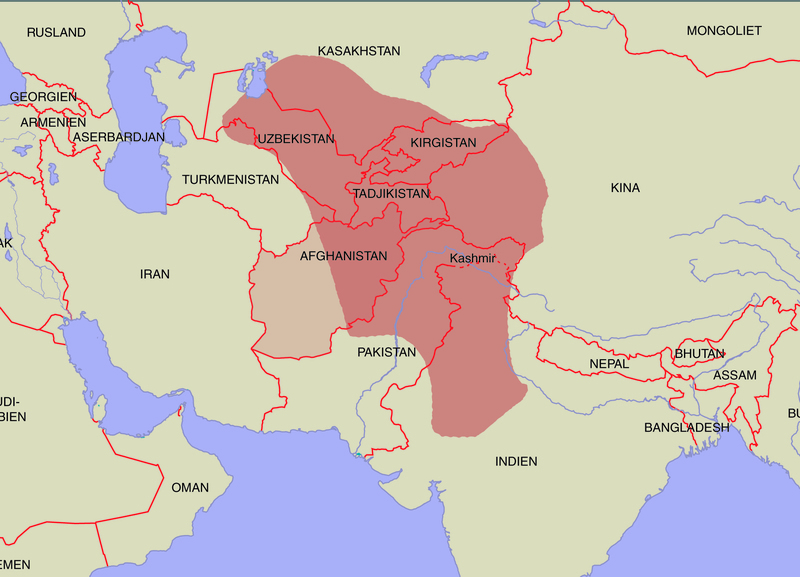 Bactria retained an independent dynasty of Greek-Bactrian kings until its incorporation into the Buddhist Kushan Empire in the second century BC. In the second century BC, most of present-day Afghanistan became part of the Kushan Empire, and the Buddhist heritage from this time is reflected in archaeological finds. The rulers of the Kushan Empire exploited their central position on the Silk Road between China and Europe to gain colossal wealth and power. In the 1930s and ’40s, French archaeologists excavated the ruins of Kapisa, the capital of the Kushan rulers. They found impressive art treasures: Chinese silk, glass from Alexandria, Roman bronze statues and ivory carvings from India. Around 650 AD, the Arabs arrived in the area, bringing with them the new Islamic religion that preached equality and justice. Islam gained a foothold in the entire region in a very short time. 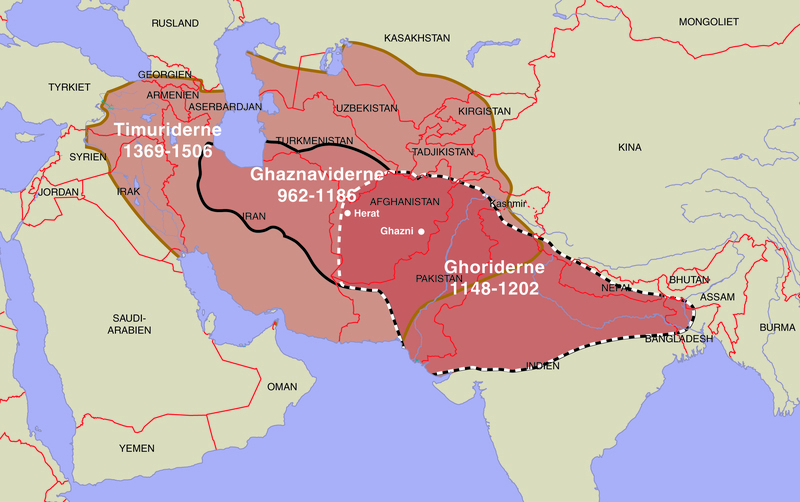 Over the following centuries, Afghanistan came under the rule of a series of great Islamic dynasties: the Ghaznavids, the Ghorids and the Timurids. 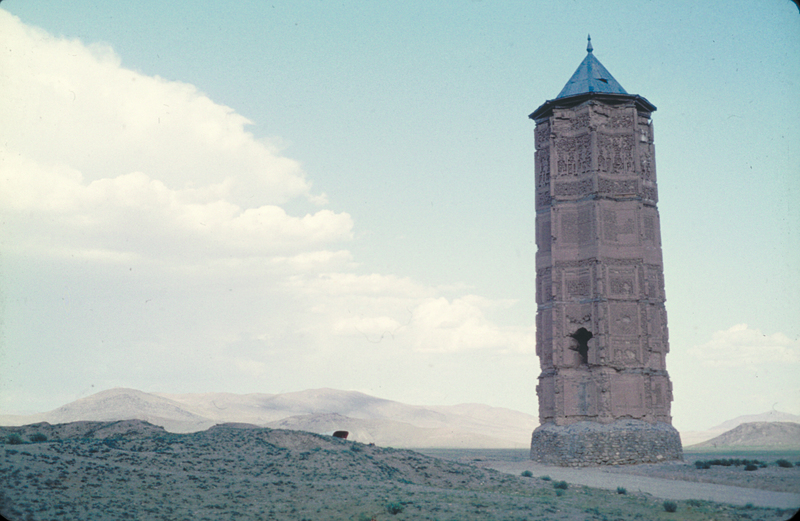 During the reign of the Ghaznavids (977-1186), the present city of Ghazni was a centre of high culture and one of the most beautiful capitals in the Islamic world. After Afghanistan was invaded and devastated by the Mongolian conqueror Ghengis Khan in the 13th century, and later on by the Turks, a new empire was created across Russia and Persia under the Timurids. 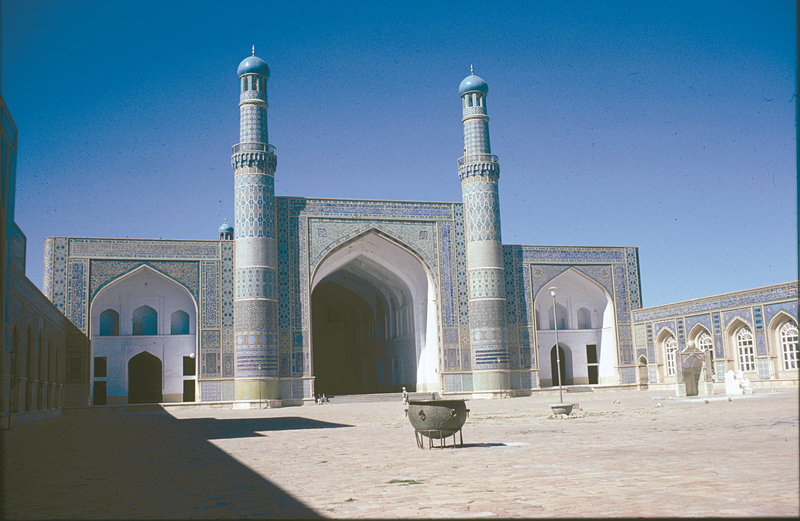 Herat became the capital of this empire in 1409, and throughout the 15th century the city was the dominant cultural centre of Central Asia, where science, arts and architecture flourished. During this period, arts like miniature painting and book production reached new levels of perfection. The Indian Mughal Empire and the Persian Safavid Empire were rivals for control over the Afghan region between 1500 and 1747. When these empires both fell apart, the resulting power vacuum allowed the establishment of Afghanistan as an independent state.